The iconic Nijo Castle in Kyoto, a UNESCO World Heritage Site castle in Japan, was constructed in 1601 by the founder of the shogun of the Tokugawa shogunate of Japan – Tokugawa Ieyasu. It is flanked by spectacular paintings that gives visitors a glimpse of the elegant lifestyle of ancient Japan. Its ceilings are adorned by intricate paintings of grapevines while its walls are hemmed by paintings of peacocks, tigers, geese and forests. It houses two main rings of bastion: the Ninomaru Palace located at the inner wall and the Honmaru Palace standing at the heart of a garden. The colossal Ninomaru Palace is regarded as a national treasure and the last remaining architecture from the early period of the Edo era. The Ninomaru Palaces is clad by intricate designs such as wood carvings and golden leaves and the doors are adorned by murals of local artists. 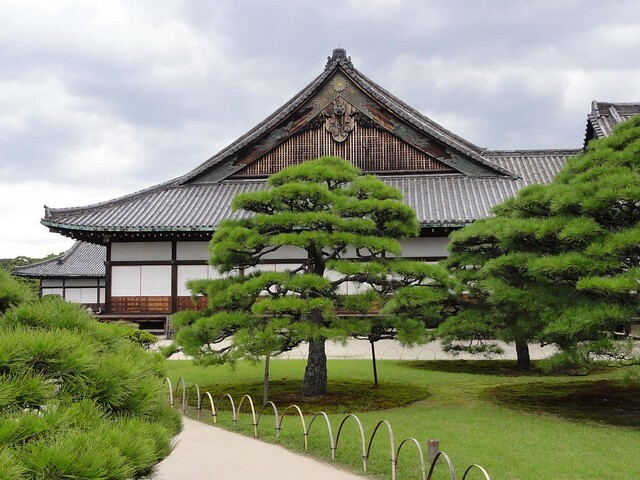 It is made up of 5 buildings, housing varied offices and rooms for the shoguns wherein the functions of its room reflect the ceremony and status of the visitors. It is said that guests of low ranks are welcomed in the outer regions only of the Ninomaru Palace while the higher ranking visitors were shown the more inner chambers. In the Tozamurai-no-ma building inside the Ninomaru Palace, the first two rooms cater the daimyo or feudal lords while samurai warriors or the Imperial Messenger wait before meeting the shogun. The shogun meets with groups of feudal lords in the Ohiroma, the central core of the Ninomaru Palace consisting of four chambers, and he receives the Emperor’s Imperial Messengers at the Chokushi-no-ma rooms. The Honmura Palace on the other hand reflects the late Edo period architectural style. It has four rooms connected by courtyards and corridors. One of the most beautiful features of the NijoCastle is the NinomaruGarden sandwiched between the two ring fortifications. 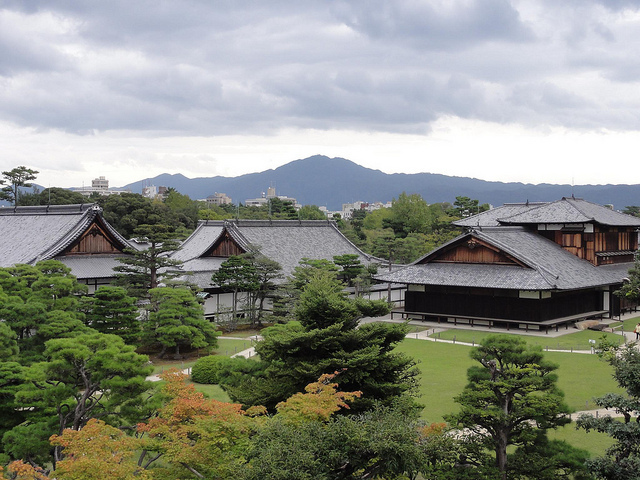 It was designed by the landscape architect Kobori Enshu to give the shogun and his visitors a magnificent view from the Ohiroma room, the most luxurious of all rooms at the NinomaruPalace. 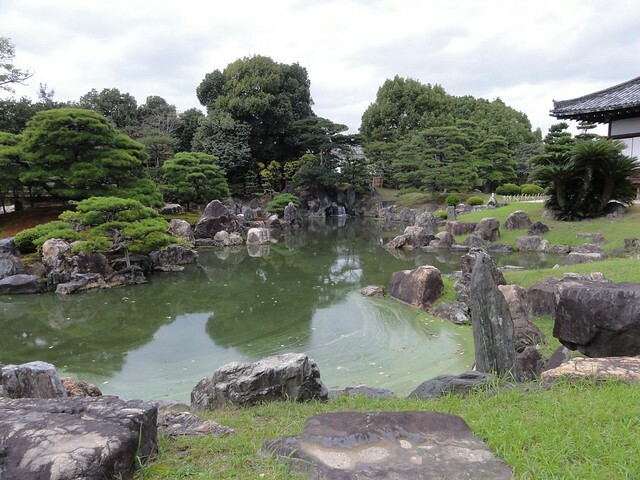 The NinomaruGarden has a massive pond dappled with carefully placed stones,the center represents Mt.Horai while the other two rock formations to its left and right symbolizes TurtleIslandCraneIsland. It is a perfect spot for a leisurely walk while enjoying the fresh air and the shades of cherry trees and Japanese plum trees. Best time to get here is March-April during the cherry blossom period. Nijo Castle can be reached by foot from Nijojo-mae Station along the Tozai Subway Line. From Kyoto Station, ride the Karasuma Subway Line to Karasuma-Oike Station and transfer to the Tozai Line to Nijojo-mae Station. TRavel time is about 15 to 20 minutes and train fare is roughly 250 yen.